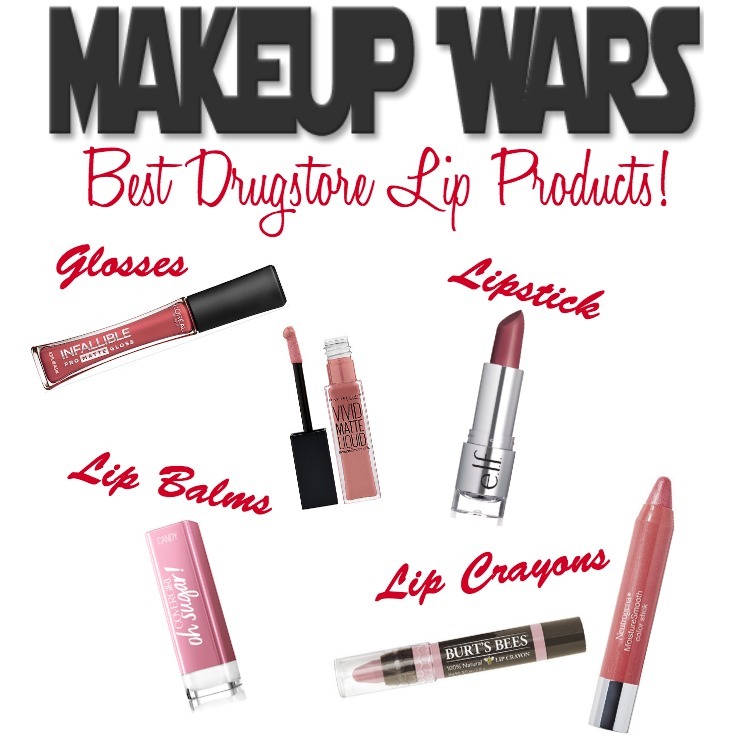 This week, the Makeup Wars Challenge is on Best Drugstore Lip products; that covers a wide range of products. 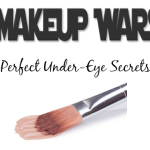 With drugstore formulas getting better and better, a “beauty steal” isn’t a unique find anymore. 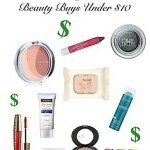 Let’s take a look at some of my favorite drugstore lip products, with many being new launches. 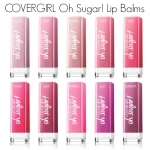 Lip Balm: My vote for the best drugstore lip balm goes to the new COVERGIRL Oh! Sugar Moisturizing Lip Treatment (full review here). With ten shades to choose from, count on barely-there color, and a formula that is both hydrating and feels great on the lips. Lipstick: One of my new favorites, is e.l.f. beautifully bare Satin Lipstick. 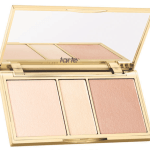 It offers good pigmentation, and nourishing Vitamin E and Shea Butter, for a light, moisturizing finish. I have the Touch of Berry shade and it’s perfect for everyday. Will definitely be picking up the other three shades! Lip Crayons: There are a couple drugstore lip crayons that I like: Neutrogena MoistureSmooth Color Stick and Burt’s Bees Lip Crayon. 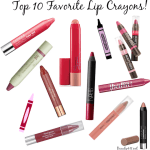 Both were picked as two of my Top 10 Favorite Lip Crayons (read the post here). 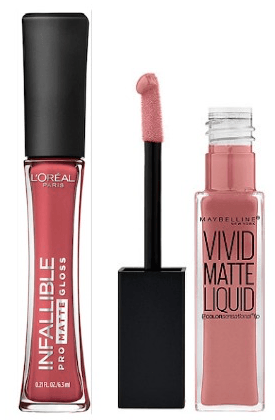 Lip Gloss: New L’Oreal Paris Pro-Matte Gloss has a velvet-matte finish, is highly pigmented, non-drying on the lips and comes in ten vibrant colors. This is a nice alternative to wearing a matte lipstick. 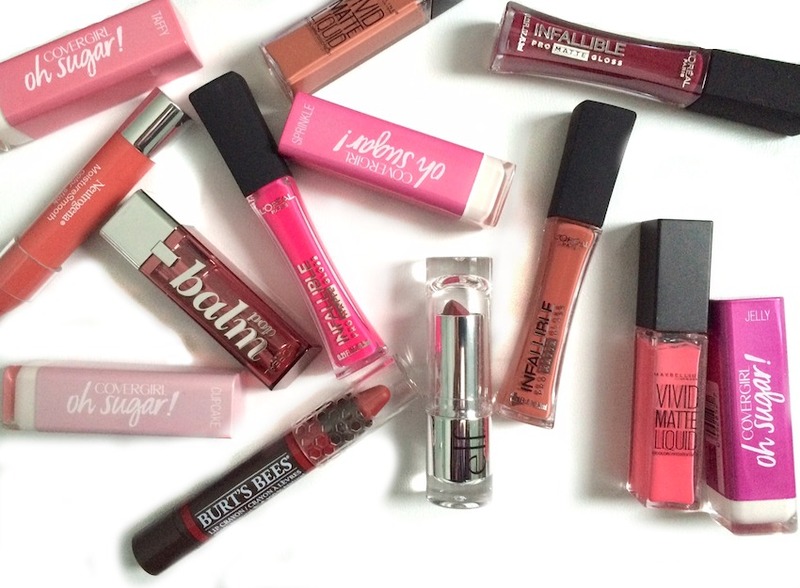 Also new are the Maybelline Color Sensation Vivid Matte Liquid Lip Colors. These glosses have what I would call a “semi-matte” finish; the formula seems creamier than a typical matte on the lips. 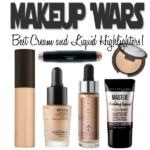 Make sure to check out the favorite drugstore lippies of the Makeup Wars Challengers below! 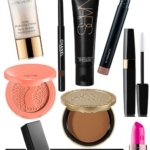 Disclosure: Some of the above products were received as press samples for editorial consideration, product testing, photography and review. Affiliate links have been used in the post, which means a small commission is earned upon purchasing through this site. I need to try those lip crayons! I’m so happy that I have some of the oh sugar! lip balms, I think I need to collect them all. 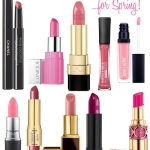 Great list, I wish I’d remembered lip crayons.